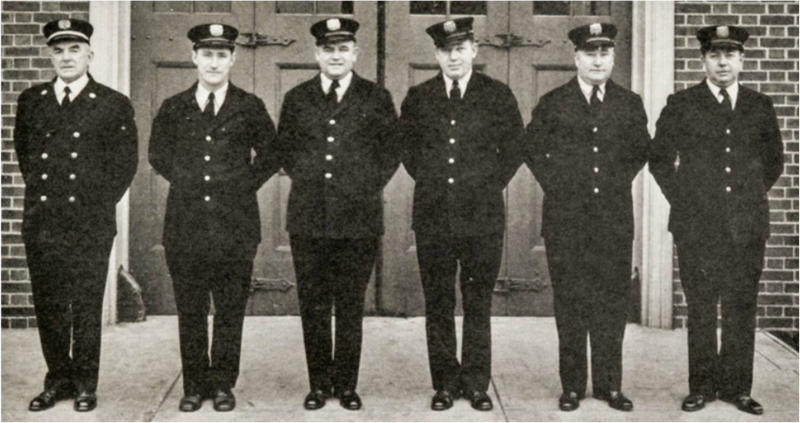 The firehouse at 37 Twenty Third Avenue (at East 21st Street) opened on October 21, 1928 to house the newly created Engine Company 13 (groundbreaking was December 1927). 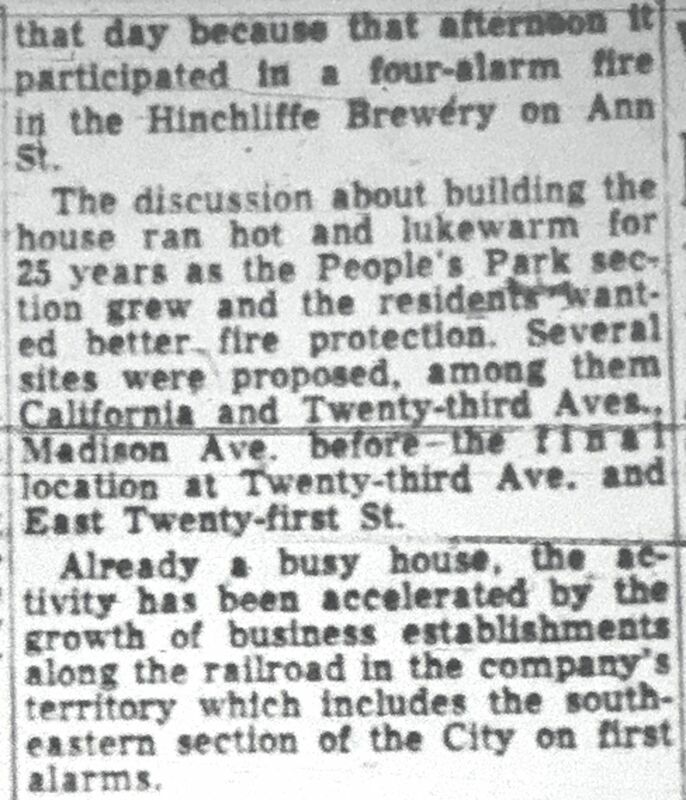 The house was built with two bays for future expansion and in 1952 Truck Company one relocated there. 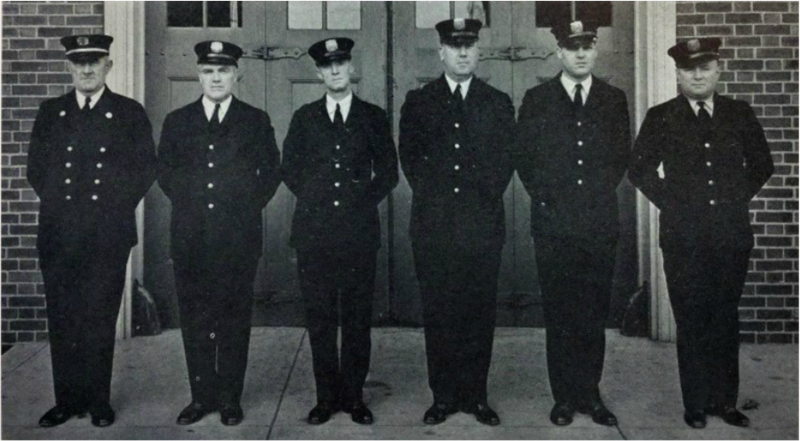 Ultimately the house closed prematurely in 1962 due to the construction of Interstate Route 80 which required the land on which this firehouse and Engine Company 4 on Slater Street existed. 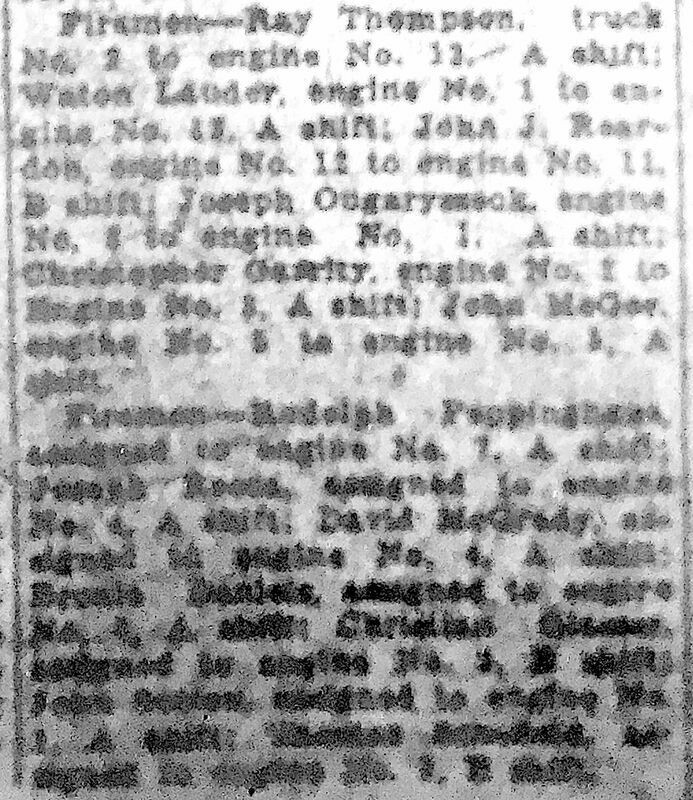 Very few photos of this firehouse have come to light. 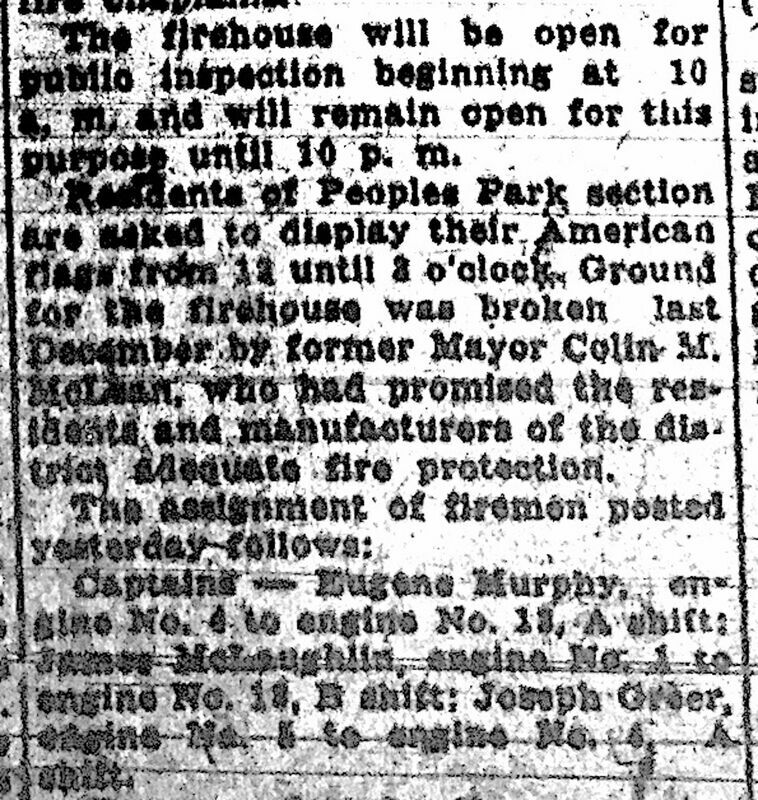 October 21, 1928: "People's Park" Firehouse ​on 23rd Avenue officially opens at 2:00 PM and is dedicated. 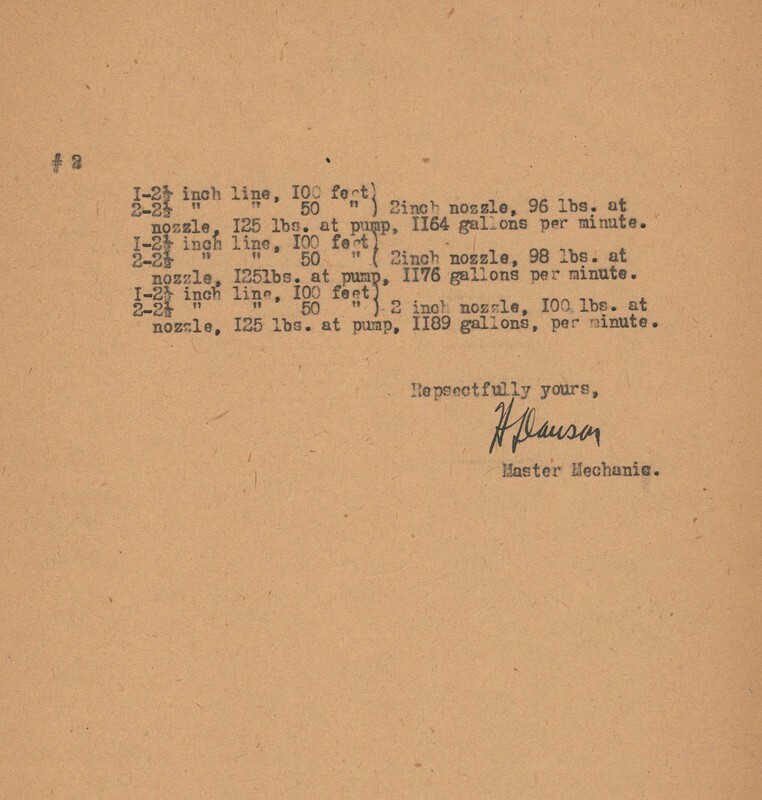 Preceded by a parade with music by Police Band. 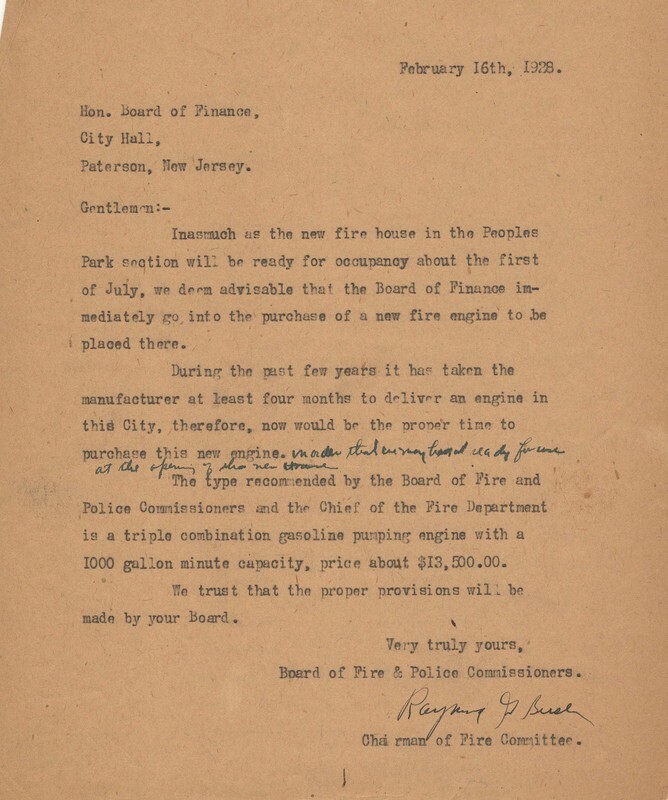 Area citizens are asked to display flags from Noon till 2 PM. 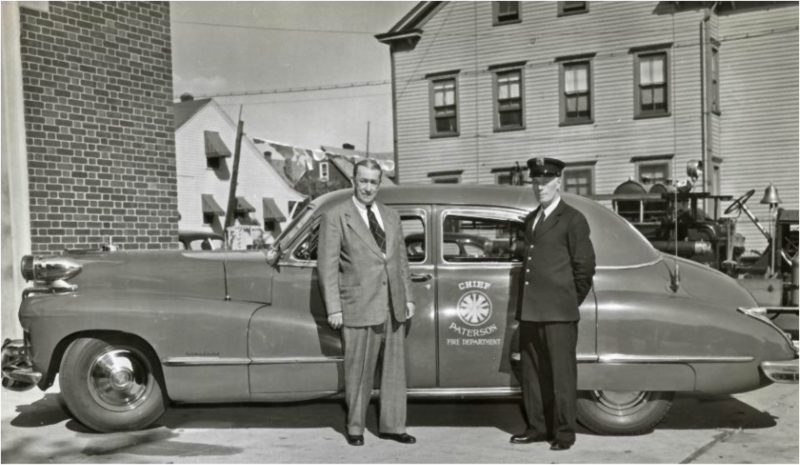 Pictured below is Chief Engineer James Troy with his driver Joseph Dow in the late 1940s with the gig parked outside the 23rd Street quarters (barely seen to the left). 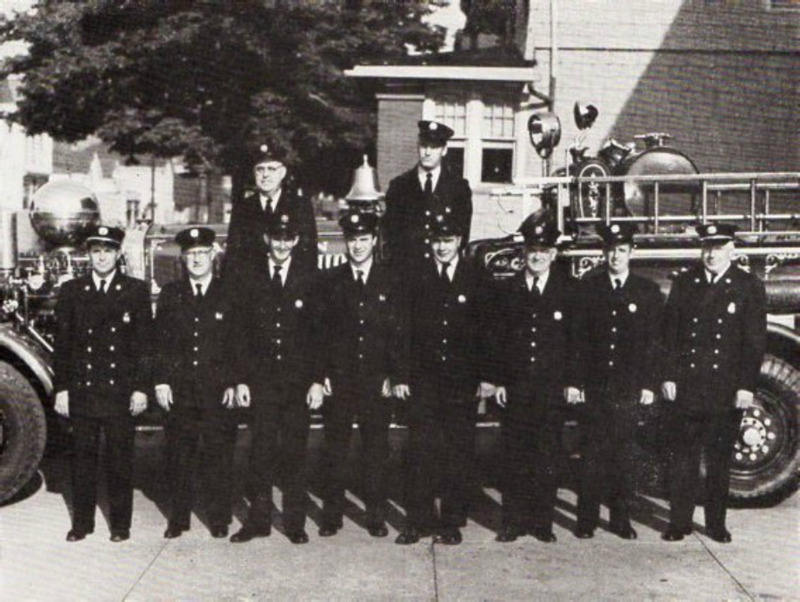 ​Engine Company 13 Ahrens Fox is in the background. 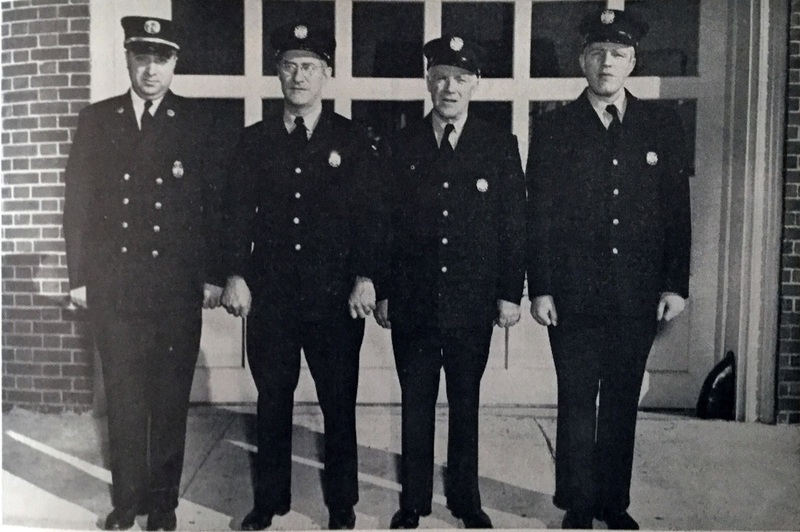 1952: Truck Company 1 relocated from 72 Jackson Street Firehouse to 23rd Avenue. 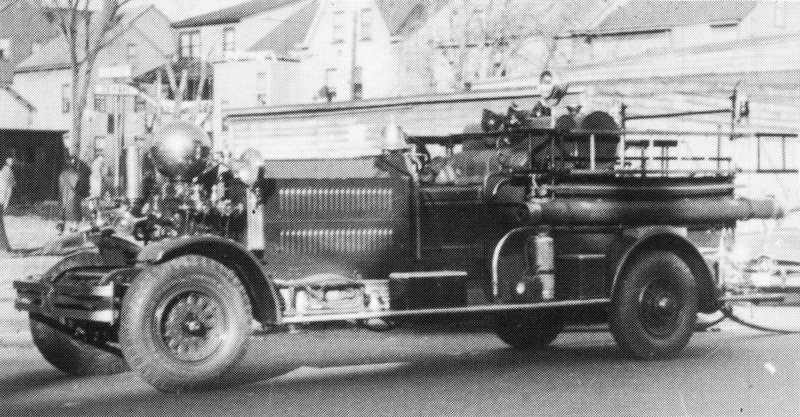 At that time Truck 1 was using a 1929 Ahrens Fox Aerial 85-6-1 (Serial # 2047) which was acquired from Hastings on the Hudson, NY. 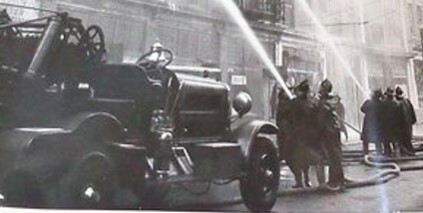 It is shown below in front of Engine Company 13's bay. 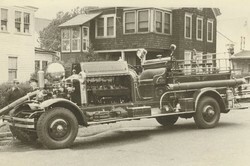 It was the only Paterson Ahrens Fox aerial to have a windshield and the only one to have its Vesta searchlight on the Captain's side (left) of cab. 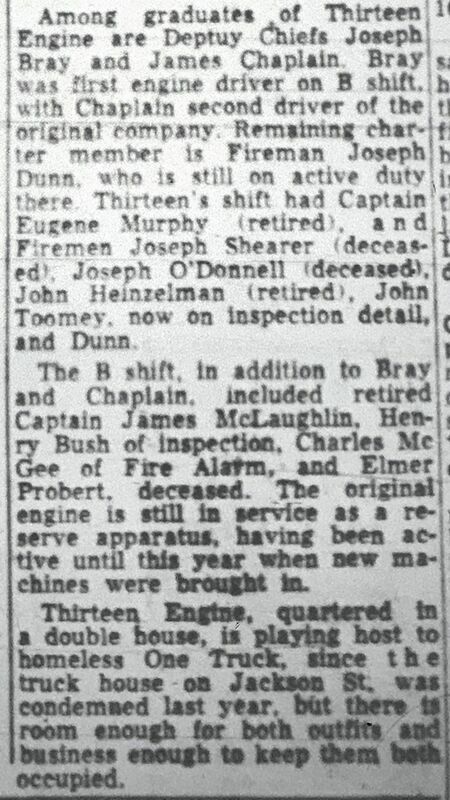 September 25, 1953: ENGINE COMPANY 13 - From the Morning Call Series of PFD Companies. 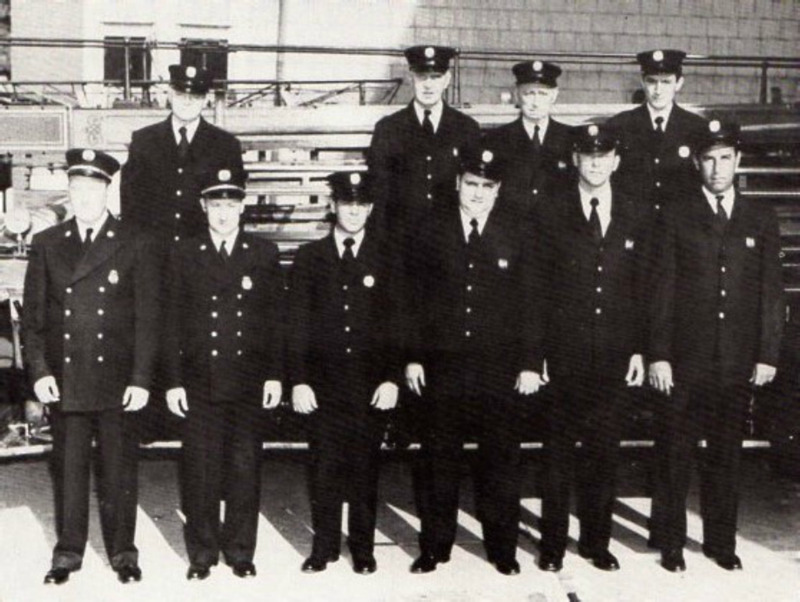 A and B shifts of Engine 13 on firehouse apron: Front L-R: Captain Sal Madama, Harold N Kane, Frank Murray, William Flynn, Anthony Corbo, Joseph Dunn, William McVey, Captain Herbert Dodds. 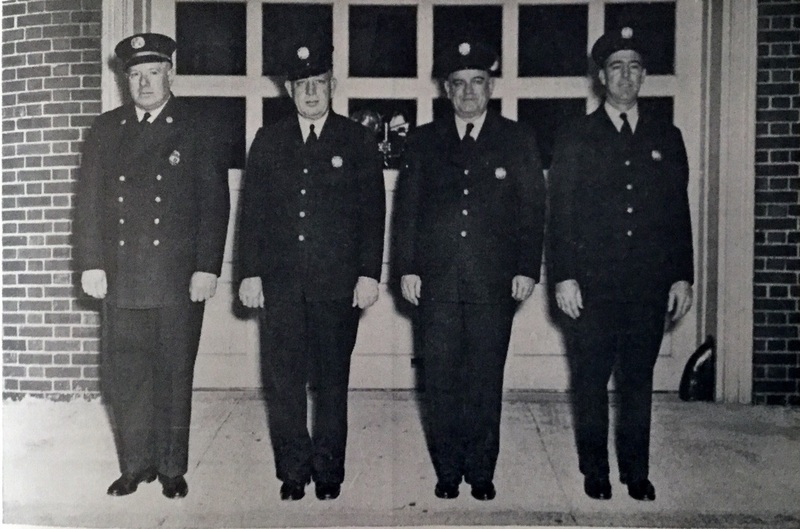 Back row L-R: Thomas Walsh, Raymond Allex. 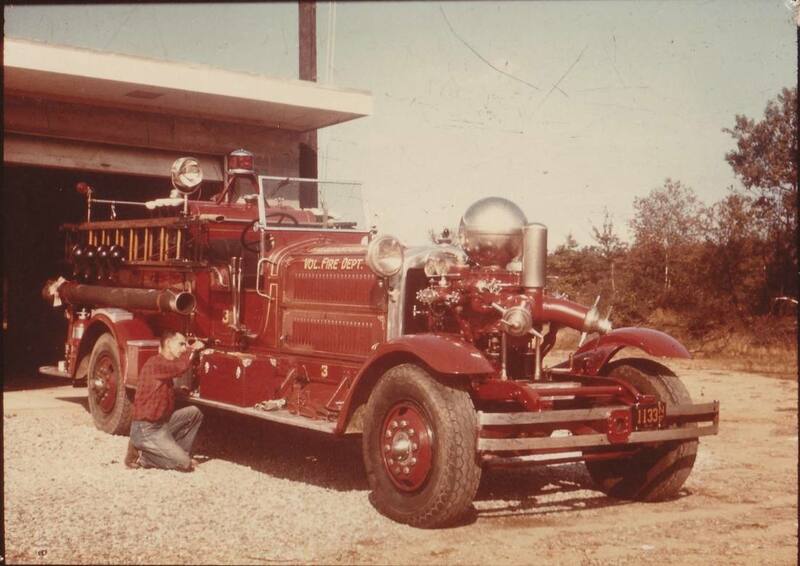 ​The photo at left, taken a decade later at Lakeview Firehouse is of the 1954 FWD cab. 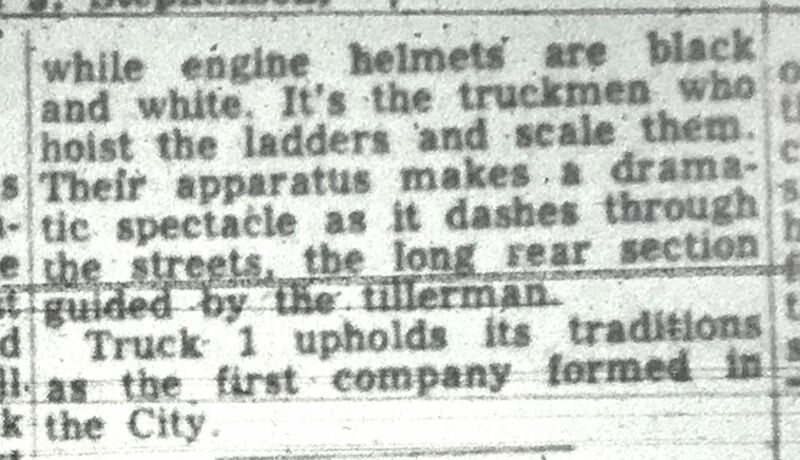 The 1952 FWD cab did not have the "FWD" below the grill or the blinker lights on windshield. 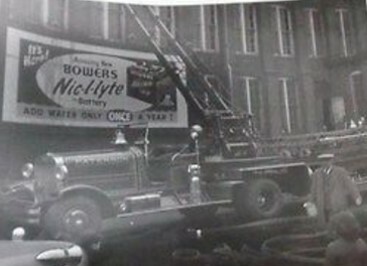 The scene below is 1956 School 24 fire. 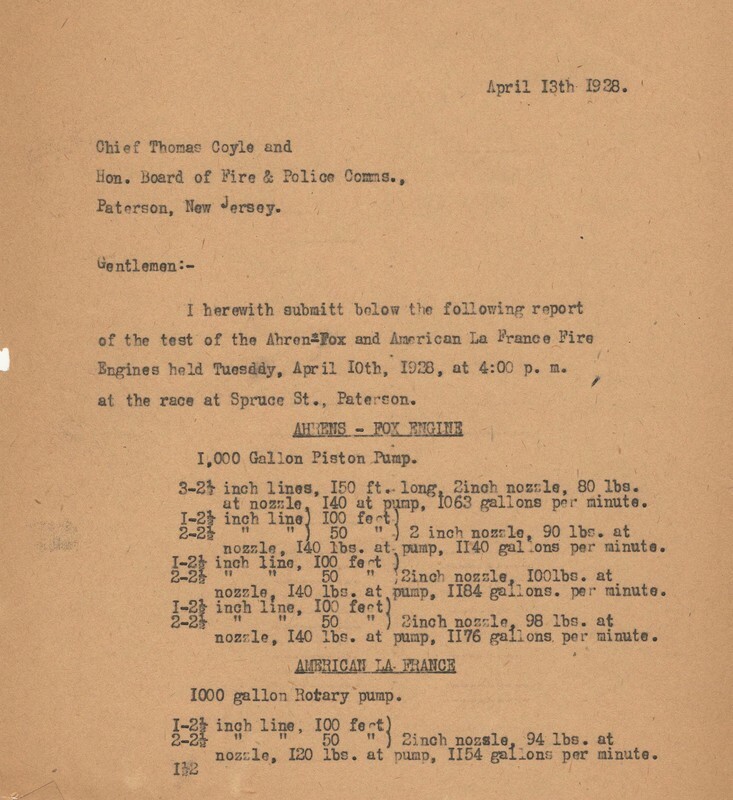 Truck Co 3 is at bottom in foreground and Truck 1 at the top with aerial raised. 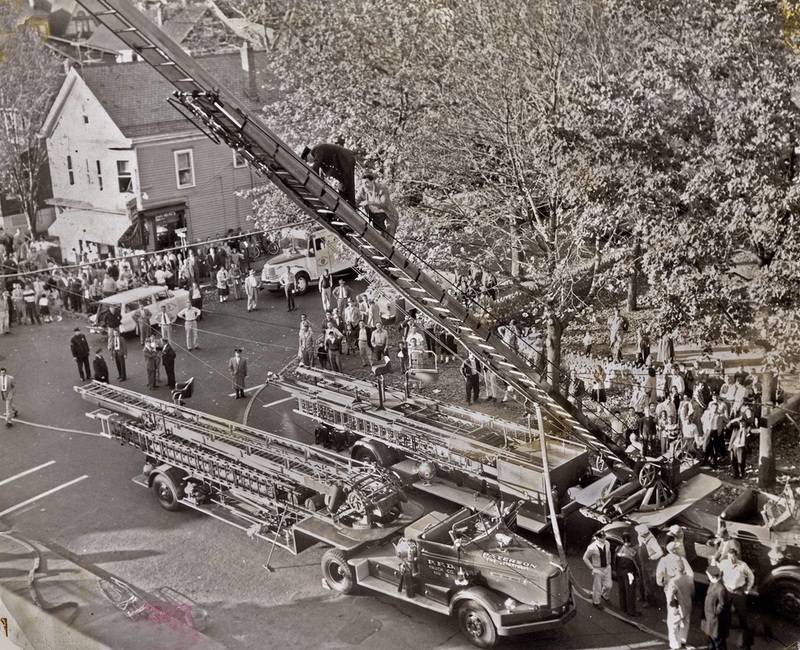 On the ladder of Truck 1 is Angelo Contini with an unknown uniformed officer above him. Rescue Truck also visible. 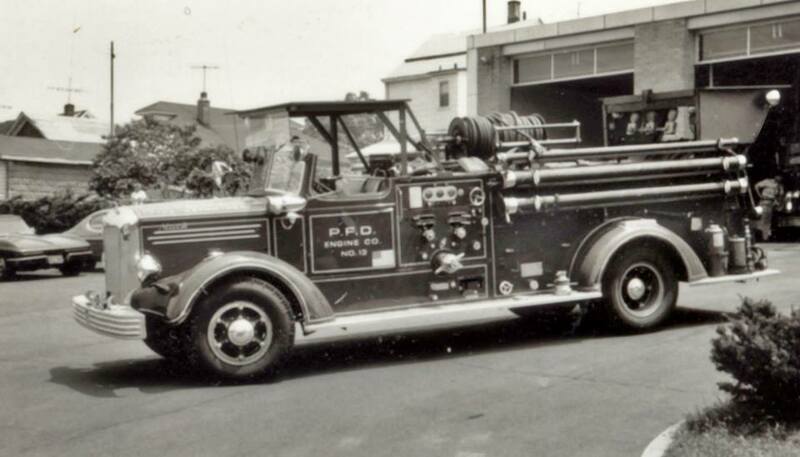 The other Truck in the foreground is Company 3 which had a 1954 FWD cab with an a 1932 Ahrens Fox 75' aerial trailer. 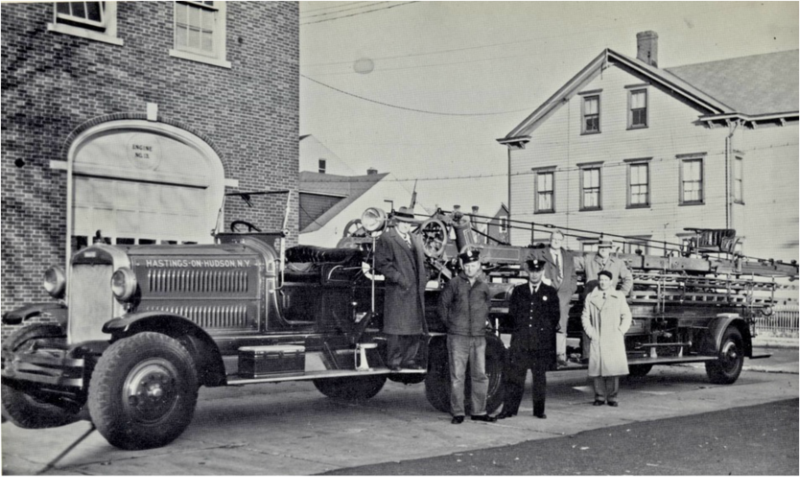 January 23, 1958: Engine Company 13 Ahrens Fox Pumper (register 3401) is retired - Sold by the City to Hardyston Township where it saw a few more years of data as Company 3. They added a windshield. 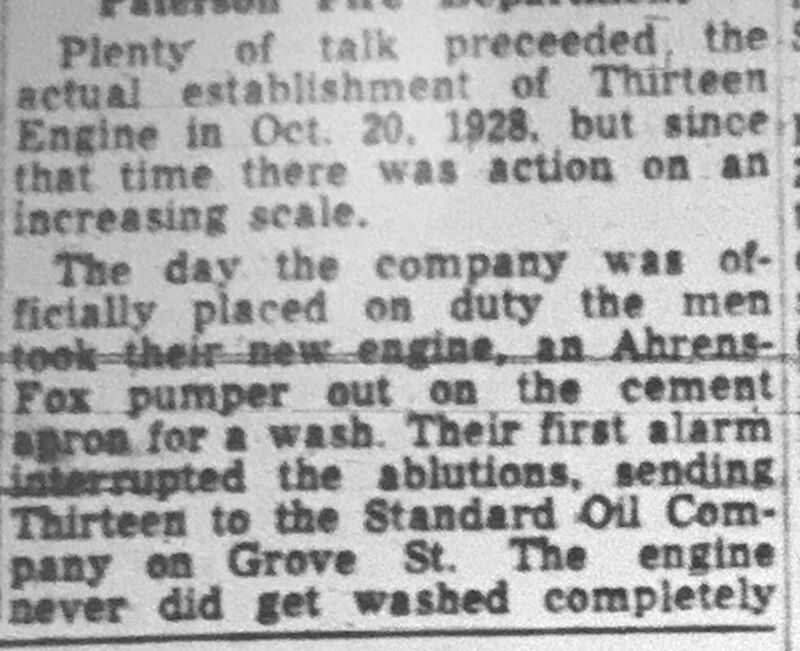 1931 Ahrens Fox (Serial 3401) at Hardyston FD. Windshield added. 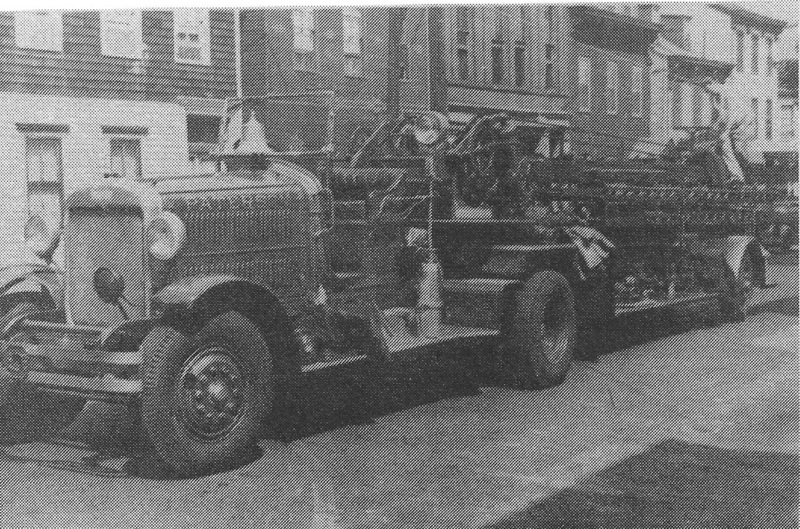 January 23, 1958: Engine Company 13 receives the 1948 Mack Model 95 1000 GPM Triple Combination pumper formerly used by Engine Company 5. 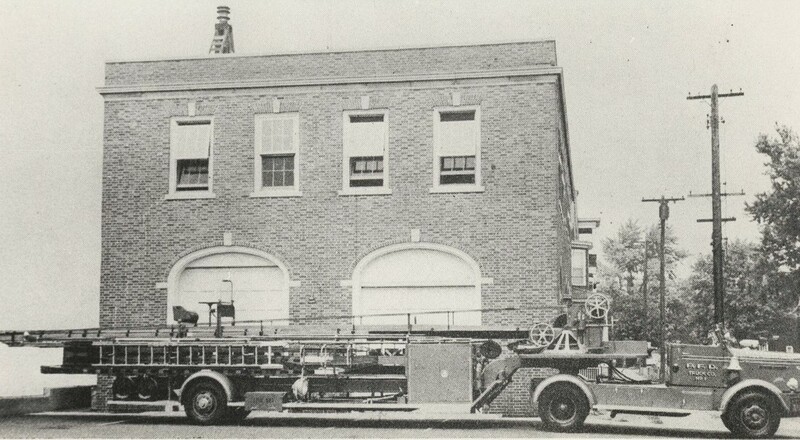 It is shown below, later in time, at the Lakeview Firehouse on Trenton Avenue (with its 1968 plywood riot roofs). 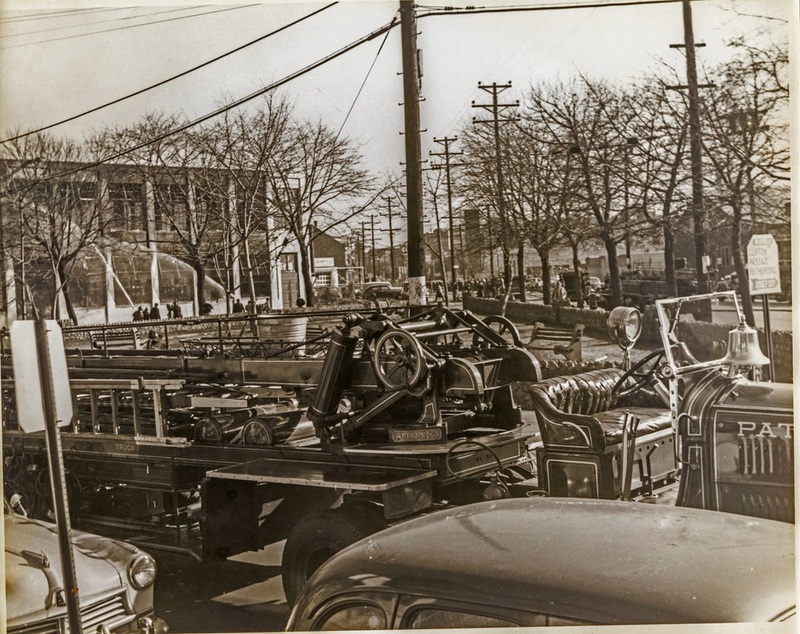 February 3 1962: The 23rd Avenue Firehouse had to be vacated to make way for the construction on Interstate Route 80 which was bisecting Paterson. Both Engine Company 13 and Truck Company 1 relocated to the newly constructed Lakeview Firehouse at 125 Trenton Avenue.